For the fourth consecutive year United Insurance has provided support to the students of TAMCC, the TA Marryshow Community College, as they travel to undertake internships in Hospitality Services. This year a total of 25 students are travelling to Barbados for three months, and, for the first time, 10 go to Guyana for a six week period to further their studies. United Insurance has donated travel insurance for both groups, including medical cover up to EC$25,000 per person, so their trip can be worry-free. Mrs Marlene Finley, Dean, School of Applied Arts & Technology, thanked the company for its continued contribution to the internship and for the sense of security and relief provided to all parties involved. The students are part of the Tourism and Hospitality programmes at the Community College and will graduate with Associate Degrees in their areas of specialty, when this aspect of their programme is completed. “We are pleased to assist with the development of youth in Grenada by ensuring that these young people and their parents can have peace of mind as they travel to Barbados and Guyana to complete their studies,” noted Trevor Renwick of United Insurance. 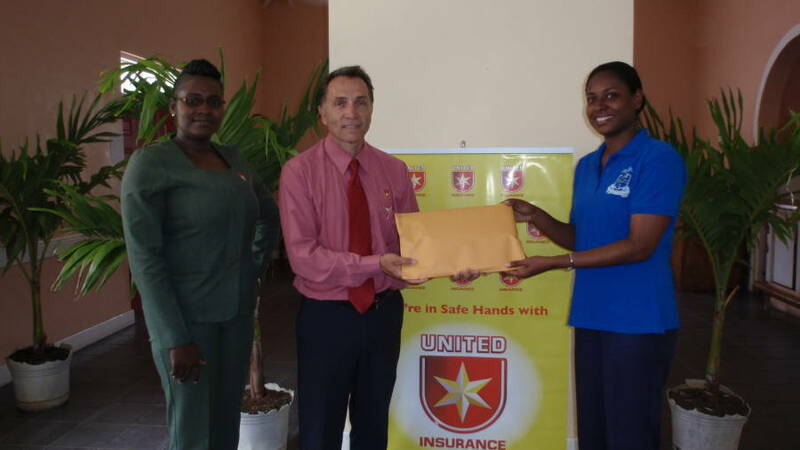 United Insurance also supports the development of youth in Grenada through their annual sponsorship of the Secondary School Cricket Competition of which they have been the proud sponsor throughout the OECS for more than 25 years. United Insurance Company Ltd is headquartered in Barbados and is a member of the Neal & Massy Group.